If an ideal weekend for you means exploring forts, hills, waterfalls and hiking and trekking everywhere, you're going to love these groups. Join these five travel groups and sign up for their treks in and around Pune. Nisarg Premi is a trekking group formed by a bunch of nature lovers who love to explore. If you love trekking, camping and adventure in general then you'll love their treks, which will also allow you to enjoy nature. They host everything from treks in and around Pune, to safaris to the Rann of Kutch or treks to the Spiti valley. Their treks start at INR 800 and include all the activities and meals. The Biker Monk is an adventure travel group founded by motorcycle enthusiasts. Pertaining to the need of Puneri, they also started trekking expeditions. They organise treks like Andharban, Fort Torna and more, costing around INR 1100 per trek. 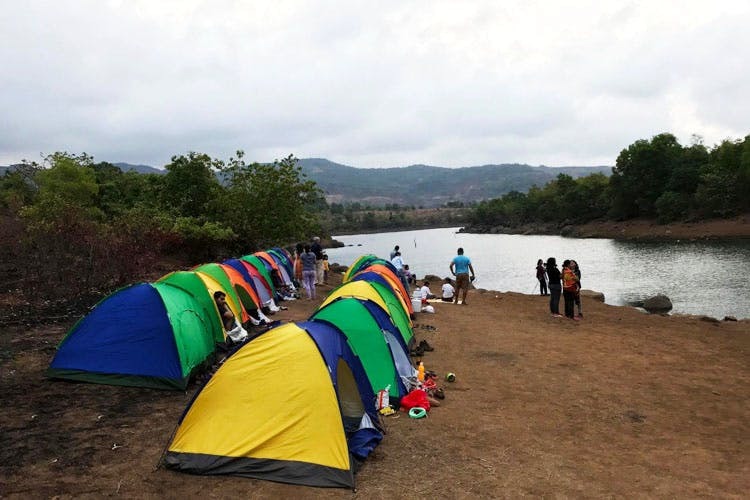 They also have camping packages for a group of 15, starting at INR 37,500, which includes everything from transportation to accommodation and meals. Since 2001, Explorers has been organising treks and is extremely organised when it comes to scheduling their tours. It came about out of sheer love for wilderness and adventure sports, so they try to inculcate that by organising tours for 10-year-olds, right upto 70-year-olds. You can opt to trek around Pune over the weekend or scale Mount Everest too. They also have India and world tour packages and corporate and honeymoon packages as well. You needn't worry because you'll definitely find some trek or tour that you'll love to go for. Formed in 2015 and inspired by the idea to step up to something new or challenging, this is a group organises adventure-packed treks. And, they are experts of night treks. Their team doesn't disappoint when it comes to coordinating at the time of a trek. The group organises rappelling at Dudhiware waterfall, Tailbalia climbing, Manali camping expedition among a bunch of other activities. Their equipment and transportation is sturdy and reliable too, so you won't have to worry about a thing on your trips. Trekfit Adventures came together for all kinds of adventure travel, right from trekking and camping to biking expeditions, jungle safaris and more. Their vision is to complete all the known trekking places in Pune and the Sahyadri mountain range and exploring unknown places too. This group organises regular treks, the most recent one being an overnight climb.